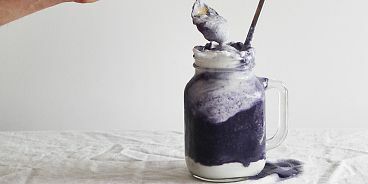 With a dollop of vegan coconut whipped cream, any smoothie can taste like a milkshake…but healthier! Coconut cream is full of healthy fats. In moderation, it’s completely guilt-free. 1. Add all your smoothie ingredients to a blender and puree until smooth. 2. Here are directions for the coconut whipped cream. Add a dollop or two on top and/or to the base of your smoothie.